Located about 20 kilometers from the charming Cahuita village on Costa Rica’s oft chronicled Caribbean Coast, Inti Resort and Villas is a tiny, no-fuss Feng Shui resort. There is the thriving National Park of Cahuita, just next door to the resort. This park is a residence of howler monkeys and a rich assortment of rare bird species. The region is rich in its bio-diversity and right place to enjoy a memorable vacation. This resort is constantly creating an ambiance of harmony between visitors and their surroundings and it was created according to the principles of the Feng Shui (an ancient Chinese science primarily related to balancing energies). This resort ensures continuous flow of positivity. In this resort the guests can enjoy less crowded environment, a more private, intimate and informal experience. While staying at this resort, you will get opportunity to re-connect to the nature in a very exotic, but safe environment. When you will practice yoga and spa, you will get de-stressed and re-align the spirit. You can visit Black Sand Beach and enjoy some tranquil time there or enjoy beach activities. This resort also overlooks uninterrupted court yard views and a range of leisure facilities. The resort location is so peaceful, so majestic with its natural surroundings and extremely friendly. In Inti Resort and Villas, you will enjoy accommodations that are made with the combination of luxury, functionality and a pleasant back-to-nature appeal. It provides three two Bedroom Villas, a couple of De Luxe Studios and a dozen Single Suites. In each o the two Bedroom Villa you will get a equipped kitchen, two spacious bedrooms, a sprawling living room and a cozy dining space. These villas are also featured with a private seating space, a barbeque grill including other equipment, and also an open-air seating zone where you can spend some leisure time and enjoy your desired cocktails at sunset.In each suite you will get a ceiling fan, hot water facility, air conditioner, a queen size bed (along with a double and single bed). There are also other necessary amenities like satellite TV, telephone and high speed internet. All o the accommodations at this resort exude an understated elegance, comfortable aura and smart space utilization. Inti Resort and Villas retreat’s ambiance is a mix of a luxury tropical paradise. Encircled by a huge variety of trees, plants and shrubs, the surrounding area is ideal for enjoying a variety of activities. Vacationers can simply relax in pristine settings. This area is an action-packed adventure holiday destination that offers a variety of adrenaline soaring activities such as canopy tours, horse riding and ATV jungle tours. Guests can also enjoy barbeque parties or quiet riverside picnics or can also enjoy walking down innumerable thrilling forest trails. You can share your travel stories with others at the resort bar area and can enjoy your favorite drinks as well as enjoy amazing sunset view. You can also enjoy indoor games as the resort has a table games room. There is a nice outdoor pool and a kid’s pool where you can enjoy swimming. You can also do your workouts at the fitness center or can enjoy sopping at the git shop. There is also a mini golf area to keep patrons busy during rainy days. 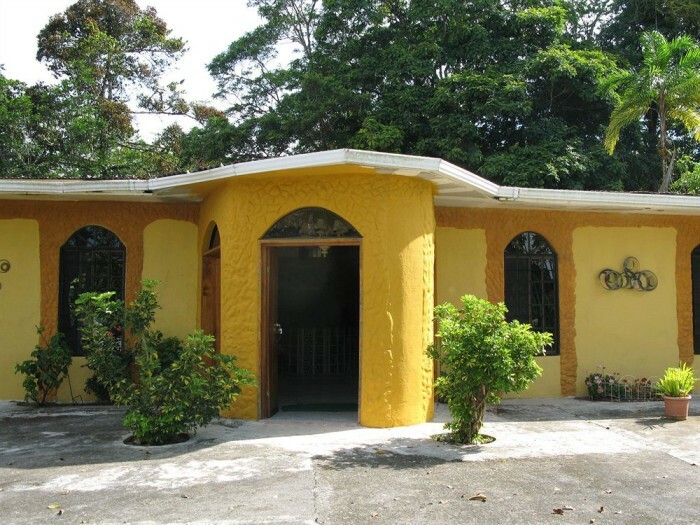 This resort arranges a wide array of nature tours including guided bird watching trips on the 49 hectare property to a guided tour of the Cahuita National Park, beach trips around the area (experience palm groves, almond trees and majestic coral reefs and also organize Yoga and Meditation Tours. Inti Resort and Villas also has in-house Sante Spa that is ideally designed to offer its guests the ultimate relaxation in the midst of a naturally luxurious setting. This resort also provides a a gym, a stress busting whirlpool, a couple of wellness treatment rooms, a sauna facility, a beauty treatment room and a salon.